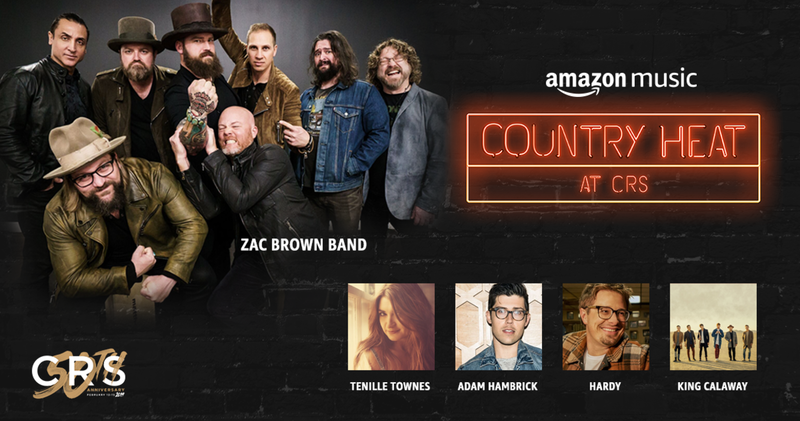 Amazon Music will host the second annual Amazon Music Presents: Country Heat at the 2019 CRS. The two-hour show, powered by Live Nation, will take place Wednesday (Feb. 13) at 6 p.m. at Omni Nashville and will feature performances from Amazon’s Music’s global “Country Heat” playlist, including Zac Brown Band, Tenille Townes, Adam Hambrick, HARDY, and King Calaway. As part of Wednesday’s concert event and in-between artist’s sets, Radio Ink will return to honor the Top 30 Program Directors in the Country format. Each year, program directors are reviewed and ranked by a panel of experts working in the country format. Experts base their judging on criteria that include how their station performs, programming experience, their contribution to the country radio format, how they mentor others and what they give back to the industry. The final list is compiled by the editorial staff at Radio Ink Magazine.